Titled after the Portuguese word for feather, the “PLUMA” track bike lives up to its namesake with a lightweight body and elegant shape. 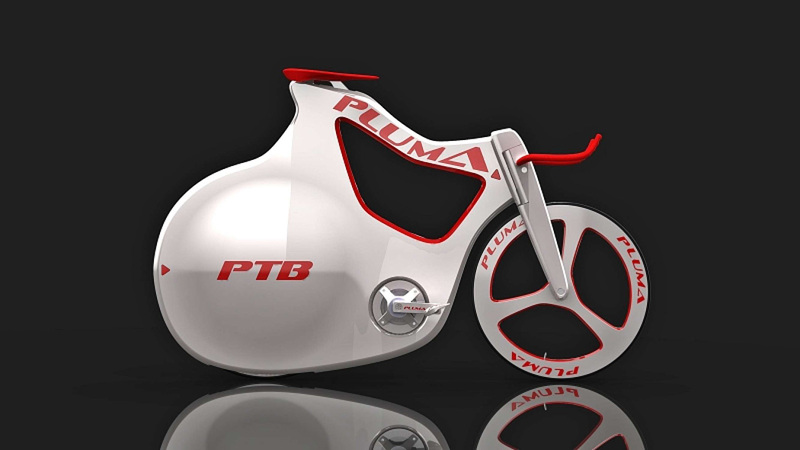 Designed by Nuno Teixeira Industrial Design, the “PLUMA” concept was dreamt up back in 2010, and after one year in production the first prototype is ready to hit the track. With a carbon sandwich and AIREX R63.80 PCV foam frame, the Pluma Bike sports a curvy physique to help air flow along the bike’s body. The streamlined bicycle aims to be feather soft as well as feather light, reducing the number of exposed moving parts and tubes to prevent injurty to the rider in case of a fall. With a PRO track carbon disk rear wheel to mimimize drag, and a PRO 5 spoke carbon track wheel at the front, the curvy ride carries no unnecessary weight. Like the majority of professional velodrome track bikes, PLUMA is a fixed-gear model, and comes without breaks. Nuno Teixeira Industrial Design’s elegant bicycle has been taken from render to reality by Constellation Composite, specialists in turning concept transport designs into working physical pieces.